For years, Egyptologists and archaeologists have thought the Great Sphinx of Giza to be about 4,500 years old, dating to around 2500 B.C. However, some recent studies have suggested that the Sphinx was built as long ago as 7000 B.C. representation of Anubis found in the tomb of king Tut. I'm fairly sure that this topic has been discussed here earlier (you cite an article from 1999)... however it would certainly be very interesting to see if there is any new thinking on this because it does seem to be out of place on the plateau. The head does not seem to be in proportion to other renderings of Sphinx. This is my profile. There are many like it but this one is mine. The article linked states the problem with the research. Virtually nothing supports the older date whilst much supports the younger one. In order for this guys theory to be true he needs to explain why the other evidence doesn't match. Yeah, I'm not buying it. 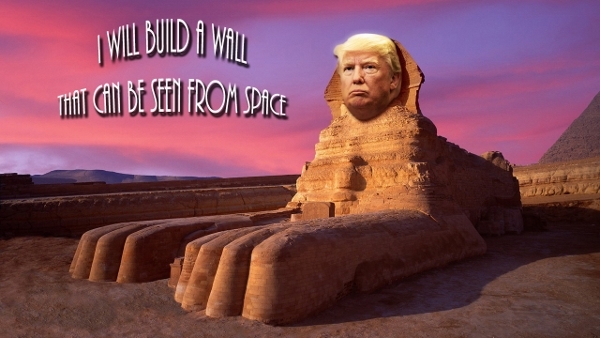 Isn't the Sphinx kind of down in a bit of a quarry? And aren't the temples built next to it on the same level, indicating it was part of the same complex? I've never like the "rain wearing" theory. It seems to me there are other more likely ways to explain the wear. Like maybe since the Sphinx was buried most of prehistory, that perhaps condensation in the sand caused water (salt?) spalling in the stone of the Sphinx. I saw a docu on this, very interesting and very believable, the present head doesn't fit the size. I would speculate though that a reworking might have been needed because the nose of the Dog fell off. I think the original head was damaged, or fell out of favour, or was remodeled in the image of a narcissistic pharaoh who demanded it. "Those who danced were thought to be quite insane by those who could not hear the music.."
Many researchers contend that the Sphinx can be dated back much further, because extensive water damage is visible on the Sphinx, meaning that it would have had to exist during a time when there was a lot of rainfall in that area, which could date back to about 10000 BC. Secondly, there is evidence that the head is not the original head of the Sphinx, and that the original head was that of a lion, built during the astrological age of Leo to face the constellation of Leo each morning. Interestingly, this period also falls between the years of 10800 BC and 8100 BC, corroborating the rainfall theory. Though not specifically cited, the article is actually talking about "research" conducted by Robert Schoch and John Anthony West. It would seem that these two proposed this after Schoch's claim of sphinx antiquity (based on subsurface weathering of the bedrock, which is unrelated to rainfall or flood) was debunked. Schoch, at least, is a geologist. West, on the other hand, is a tour guide. Weathering patterns on the sphinx have been explained in terms of what is known, and result from the conditions that still exist there to this day. There is no evidence that the head was once a lion. There was no Leo constellation in any culture at the time of the sphinx's creation, so certainly there was no Leo during the era you imagine the statue was carved. In fact, John Anthony West has recently passed away. archeological evidence is conflicting with geology as i see it. besides, if the sphinx had a different head then it would have more likely been a representation of Anubis and not a lion. Sigh. I guess I'll just have to repeat myself. I'm sure here many know the truth. 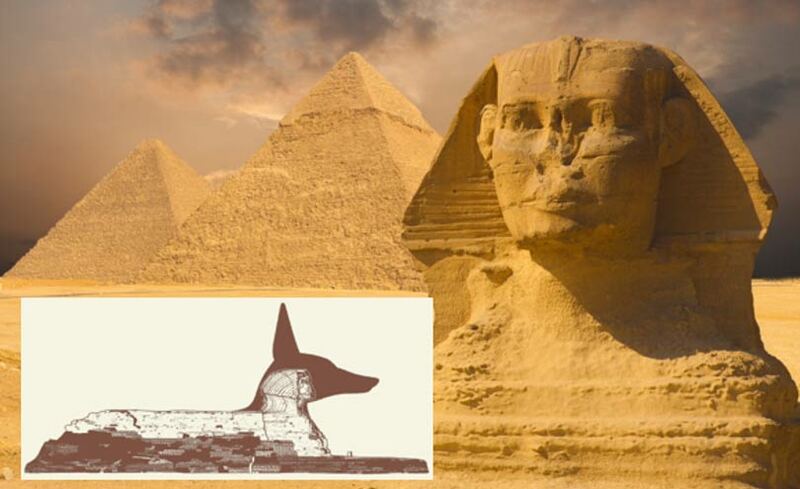 The Sphinx was originally in the form of a giant hound. After the AEs ruined their attempt at hammoidal pyramid, in the resultant damnatio memoriae, the hound's face was removed ane replaced with a lesser being's. THE SPHINX,that familiar symbol of undeciphered mystery, is at it again. A Boston University geologist has taken seismic soundings at the base of the brooding monument of Giza and has discovered, he says, that the statue may be 6,000 or 10,000 years old rather than the 4,600 years most Egyptologists assume. The assertion is something of a shock to the field, partly because most of the people lavishing attention on the Sphinx in recent years have been preoccupied with the opposite question of how quickly it is falling apart. Several leading Egyptologists dismissed the notion of an older Sphinx out of hand, citing long-established studies. But geologist Robert Schoch says the locals reacted to his idea with a good deal less surprise. After all, the legend that the Sphinx is older than the Pyramids -- which is to say, older than just about anything visible thereabouts -- has been around a lot longer than modern archaeological studies. Ignoring the evidence, in favor of Schoch’s idea, doesn’t invalidate the evidence which shows he’s wrong. Do you get all your news from 1991, or just the news that's been debunked? As was pointed out the last few times this was brought up, the same readings apply to temples and other features at the site that Schoch accepts are of Egyptian origin. It's only by cherry picking that he concludes the Sphinx is older. And in the last decades no other geologists accept his work. there's also the matter of the sever weathering on the Sphinx. is there any historical evidence that mentions the sphinx being built around the same time as the pyramids? There's actually the matter of people ignoring the fact that sub-surface weathering DOES happen in Egypt, especially through time and with the continuously moving water table and in such close proximity to the Nile as the Sphinx had been in the 3rd millenium BC. The Nile River itself came up to the plateau as late as the mid to late 3rd millenium BC and added to that Egypt experienced much more rain during the mid-third millenium BC, significantly more than it does now. There is also the fact that the enclosure that directly surrounds the Sphinx and from which it was cut was created during the time of Khafre by removing the requisite amount of limestone to make the Valley Temple/s. Before then there would have only existed a knob of limestone at best where the Sphinx' head now exists. There is no written mention AFAIK of the Sphinx during or before the 3rd milleniium BC. There's exceedingly little, as far as that goes, on the building of the pyramids. That changed with the discovery of Merer's journal and records, but I don't think his records make any mention of the Sphinx. That monument didn't exist at the time of Khufuf, but even if it did, it was not part of Merer's activities as a foreman at Khufu's pyramid. Keithisco is correct, we've had exactly the same discussion numerous times in old threads. Still, I'm not inclined to close this one, as long as it generates useful discussion. The significant backdating of the Sphinx is the work of Schock and West. Harte explained this well earlier in the thread. The gist of it is, it was a poorly presented theory to begin with and is not accepted in professional academic circles—not even among professional geologists. It's actually an old theory on the part of Schock, and it's been discarded. The Sphinx as Anubis is the pet theory of "Professor" Robert Temple, another writer of fringe books. The Anubis idea is popular with quite a number of laypeople but is exceedingly unrealistic on the face of it. The Sphinx was never Anubis. 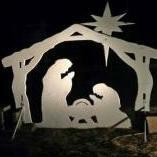 Those tall, pointy ears and long, skinny snout all would've snapped off before the carvers were even done. Remember that the Sphinx contains several layers of very poor-quality limestone. On a final note, people often remark that the head is undersized. This is not so mysterious. The carvers were working with what they had, and the more realistic scenario is that the protuberance of limestone that was there on the Plateau originally, just wasn't large enough to be proportional. Remember that this was the first colossus the Egyptians ever carved, and the only colossal sphinx they ever carved. I think they did a damn fine job.